At TAMIYA we have excelled in bringing together a team of highly experienced designers and engineers to produce some of the world’s most innovative design solutions. We plan to lead in this new era of mobility by returning to the fundamentals of great designs. We embrace new models and our members are big on ideas, low on ego, and love working together. 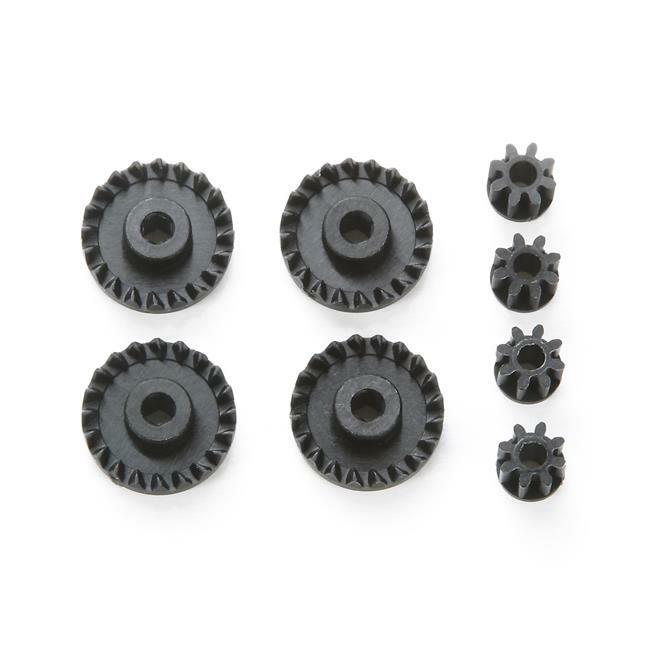 These are carbon reinforced gears found in Tamiya's Mini 4WD racing machines. They replace the standard plastic gears that are labeled G13 along with the 8-tooth pinion gear. These reinforced carbon gears are ideal to use when using high output motors.